One of N.L. 's six independent cannabis retailers is closing shop this week after accusing suppliers of backdoor dealing with larger corporate stores. 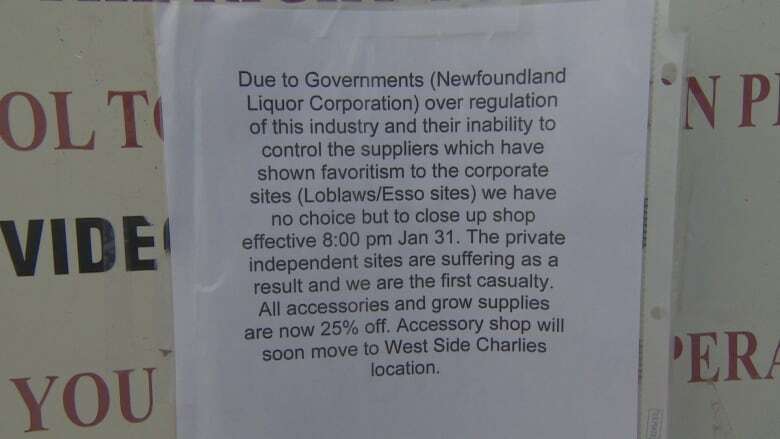 An independent cannabis retailer in Clarenville is closing shop after accusing suppliers of giving first dibs to larger corporate stores, along with a slew of other supply issues. The manager of Puff Puff Pass Head Shop, one of six independent marijuana retailers in Newfoundland and Labrador, said it's impossible to compete in a market for an under-supplied product — especially when that product is being offered to corporate suppliers first. "From our personal experience here, I know that at least two of the licensed producers have made special deals with the larger corporate sites," said manager Tina Greening. "Right now, I have virtually nothing in stock … The Esso store here in my town got an entire shipment of product when I had nothing." Greening said a supplier representative told her they only have so much stock to pass around — and they have to look after corporate-owned stores first, since those companies have more clout as sources of profit. She said the representative admitted the supplier was worried that smaller shops wouldn't make for reliable long-term customers. In Newfoundland and Labrador, independent retailers can only purchase marijuana from seven licensed producers. But chronic problems with growing enough pot to satisfy customers has left sellers scrounging to keep their shelves full. "We knew the supply industry would not be there yet to meet the demands, but we had no idea that it was going to go this way," she said. The store is shutting down for good Wednesday evening. The day before closing, Greening said the shop only made about $50 in profit. She often can't sell enough to pay her own wages, she added. 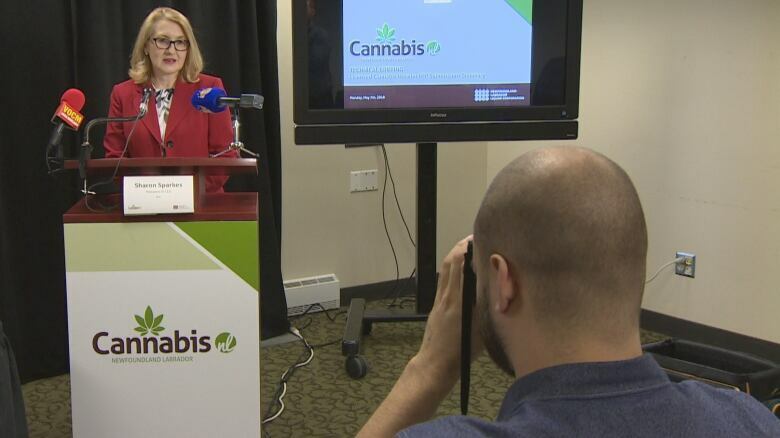 Owing to a policy of the Newfoundland and Labrador Liquor Corp. (NLC) — which regulates sale of cannabis in the province — Greening is only allowed to sell cannabis and direct accessories. She said stocking the shelves with alternative products, like snacks or trinkets, until new orders come in is not an option. Greening also wasn't prepared for the buying process, which she says blinds the buyer to essential details about the marijuana they're trying to order. 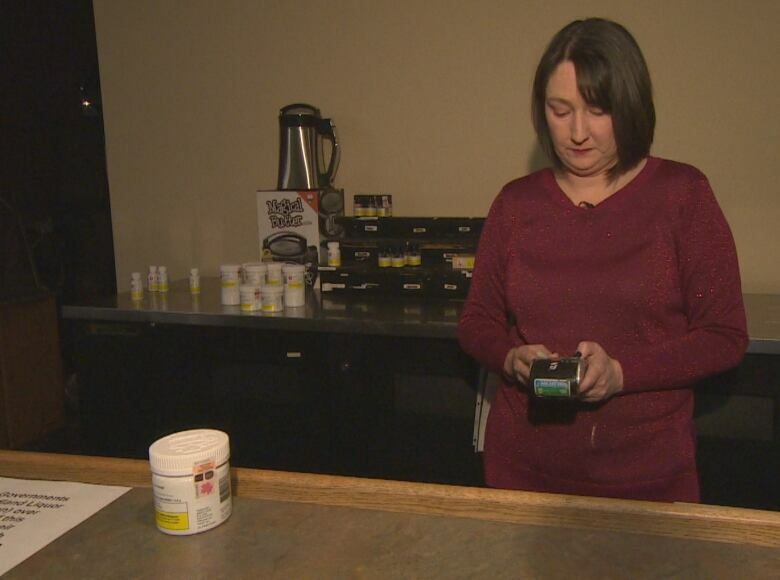 She described how suppliers provide retailers with a list of items they're allowed to purchase — but that list only includes the brand name and amount of product in the package, not the level of THC, the main psychoactive substance in marijuana. Greening said she will order a product with anywhere from 15 to 25 per cent THC, but when she gets the product it might only be 10 per cent, which she says most customers don't want. Those items all have to be prepaid. "Right now, sitting here in this store, I am sitting on about $20,000 worth of product that will not sell, cannot sell, and the suppliers will not buy it back," she said. "You go back to the supplier and say, 'This was less than what is was supposed to be, you will buy this back.' Nope. Absolute refusal." Greening said she has gone to the NLC about her concerns but has not received any feedback from the Crown corporation. She was told multiple times by NLC representatives to deal with suppliers directly, she said. Upon notifying the NLC of suppliers' alleged backdoor dealing with bigger shops, she says the regulator told her they'd look into it. A day before closing her doors for good, Greening told CBC she still didn't know what to do with the leftover product. Are suppliers allowed to sell to corporate retailers first? It's unclear whether a hard-and-fast policy exists to force suppliers to sell fairly — splitting their limited product evenly between small independent shops and larger corporate ones — rather than giving first dibs to buyers with more capital. The NLC told CBC Radio's On the Go that while it guides retailers and suppliers, it doesn't meddle in their affairs, and said it was "not aware of any special deals" between suppliers and bigger shops. "I really can't speak to the specifics of individual retailers or suppliers. These are all private commercial enterprises," said Sharon Sparkes, interim CEO. 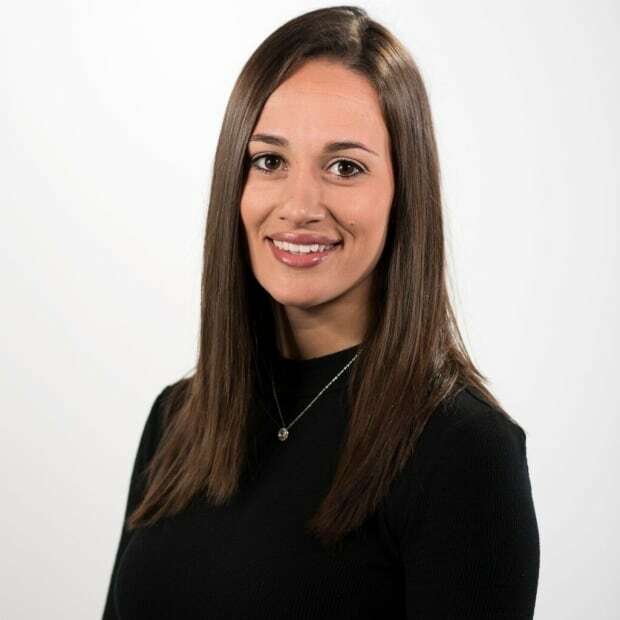 But suppliers' contracts stipulate they must service all retailers, Sparkes said, adding that the regulator sent out a reminder notice about that condition Tuesday. "This is something we have been saying all along, that they have to be fair in that regard." The regulator said it also cracked down on the possibility of suppliers obscuring THC levels this week. Suppliers are "absolutely not allowed" to misrepresent the amount of THC in their product, Sparkes confirmed, and added that the NLC has now advised all suppliers they must tell buyers THC levels prior to purchase. As for supply gaps, she said she's confident time will bring balance. "It was tough to estimate the demand to begin with. The suppliers, I'm sure in good faith, thought they could supply the markets to which they committed," she said. "However, it has been bumpy." The closing of the Puff Puff Pass Head Shop does not come as a surprise to the owner of another privately-owned retailer. Zach Hudson, who runs the Reef Cannabis Shop in Holyrood, says although he's not considering closing in the near future, he won't survive if supply issues don't normalize. "If things continue as they are, you are going to see the independents shut down," said Hudson. "It will just be a corporate-run operation." Hudson said owners were aware of risks before getting into the recreational cannabis industry, including shortages. However, he believes the current process gives big businesses an unfair advantage. "That's what we were kind of promised starting off … A fair playing field, everybody will have access to the same suppliers from the same list.